Though the 2016 presidential election left many groups reeling, the National Urban League, with its just-released State of Black America report, has signaled that Black America must press forward and protect what?s been put in place to improve urban communities. With the Trump administration spending every waking minute trying to undo everything the Obama administration accomplished from the Affordable Care Act to Michelle Obama?s Let Girls Learn initiative to the expansion of funding for arts programs and HBCUs, the report is right on time. 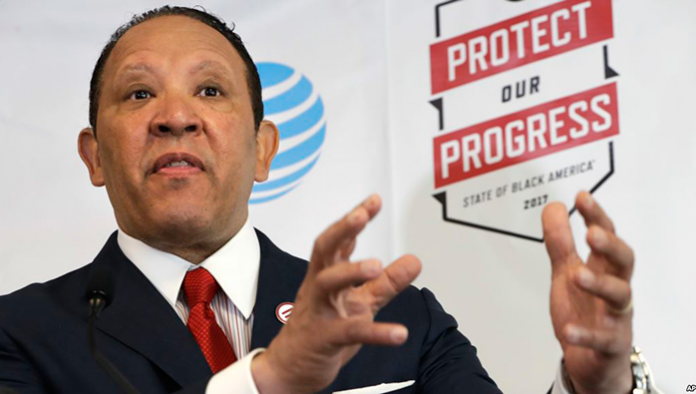 Here, we spoke to Marc Morial, president and CEO of the National Urban League, for an overview of the report. TNJ.com: Tell us a bit about the ?Protect Our Progress? theme of this year?s State of Black America report. Marc Morial: Since the recession, Black America has made some very important progress from very difficult circumstances with layoffs and foreclosures. Those areas of progress are now low when it comes to jobs. The unemployment rate is down and the Black rate is down. When it comes to schools and education, the high school graduation rate is higher, and the high school dropout rate is lower.? When it comes to healthcare, the disparity between blacks and white is narrowing and the number of Blacks who are uninsured has been cut in half. Progress is incremental. It?s not necessarily something to celebrate but it?s something to mark and to note. And against the backdrop of the new administration?s public policy, there?s absolutely concern that this progress could be at risk. TNJ.com: What is one of the biggest threats to Black America under the Trump administration? M.M. : The repeal of the Affordable Care Act and the idea that millions could lose their insurance. The second threat is a retreat of the enforcement of civil rights laws, voting rights laws, and other accountability laws. Third, if extreme draconian budget cuts took place, it could affect many of the programs that support people?s efforts to enter the middle class and really impact the Black community in a significant way. We avoided cuts in the budget that Congress just adopted and the President just signed. That’s a glimmer of hope. At least, temporarily, that was avoided. TNJ.com: Tell us about the Equality Index. M.M. : The index?s number is 72 percent, give or take, and is the social and economic status of Black versus white, and 78 percent is the percentage for Latinos. We?ve seen little change in the overall number because some things go up and some go down within a year?s time, but the National Urban League has the only true statistical measuring stick of equality in the country. No one else prepares and publishes this, so it gives us a good analysis of where we are when it comes to equality gaps in the country. TNJ.com: What is the National Urban League?s plan for revitalizing Black America?s urban centers?? M.M. : It?s the Main Street Marshall Plan and it calls for a commitment of $4 trillion dollars over 10 years to rebuild the main streets of America. That includes $2 trillion for physical infrastructure and $2 trillion for human infrastructure such as education, workforce, early childhood education and the things people need because the economy is built up on people and things. TNJ.com: Who are some of the leading figures and thought leaders who provided commentary and analysis to the report? M.M. : We have Senator Cory Booker; Opal Tometi who is with a Black immigrants rights organization and who co-founded Black Lives Matter; Michael Eric Dyson; and five Urban League leaders from around the country to talk about the work they are doing to improve social and economic conditions.